When I saw Barry M had released their new Autumn Collection, I raced down to the drugstore to pick them up. 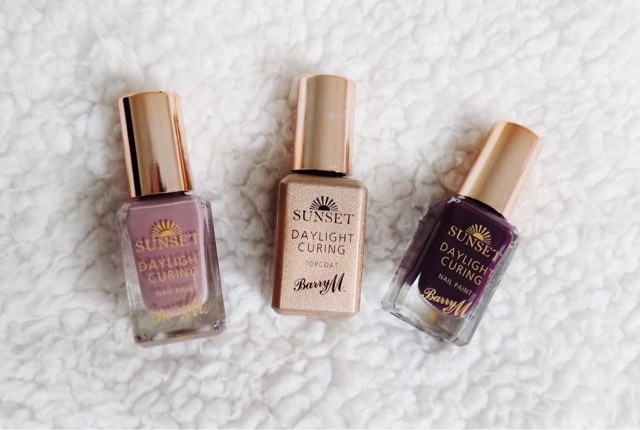 I ended up getting some of the Sunset Daylight Curing polishes as well as some from the the Speedy Quick Dry line. So I thought I would share with you the shades I picked up and show you how they look on my nails. 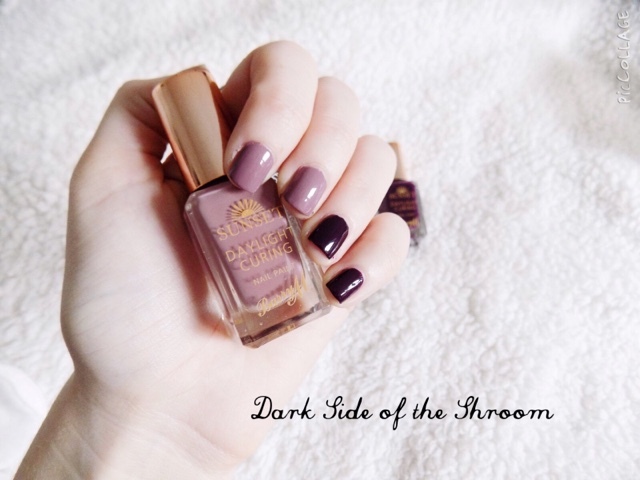 I only ended up liking two of the new shades from the Daylight Curing range, Plum on Baby and Dark Side of the Shroom. Typical me shades. 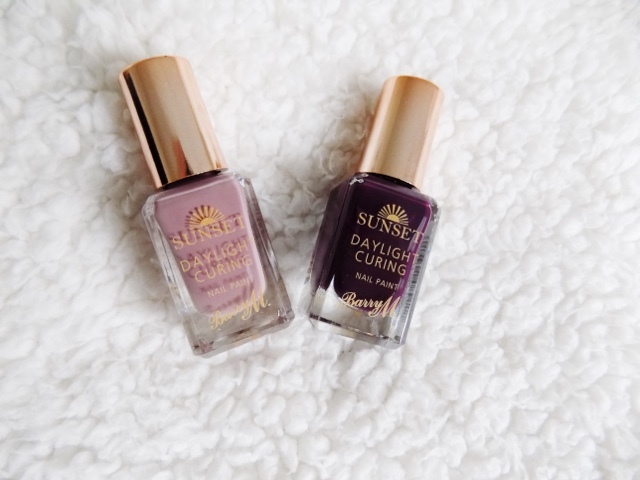 In case you're not aware of the concept of these nail polishes, you apply two thin coats of the colour, and then top it off with the Daylight Curing Top Coat. This seals it all in, adds a beautiful shine and makes it dry super fast, leaving you with a gel effect mani, that lasts about 5 days on me before it chips which is awesome and unheard of for my nails. 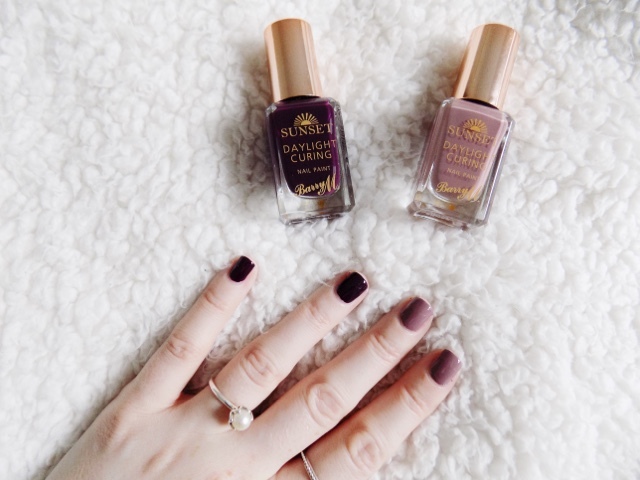 They truly are amazing nail polishes, possibly my favourite ever nail polish range, and the best bit? They're only £4.99 and are often on sale so they're even cheaper 90% of the time. Great brand in general, but the nail polishes are the best in my opinion. 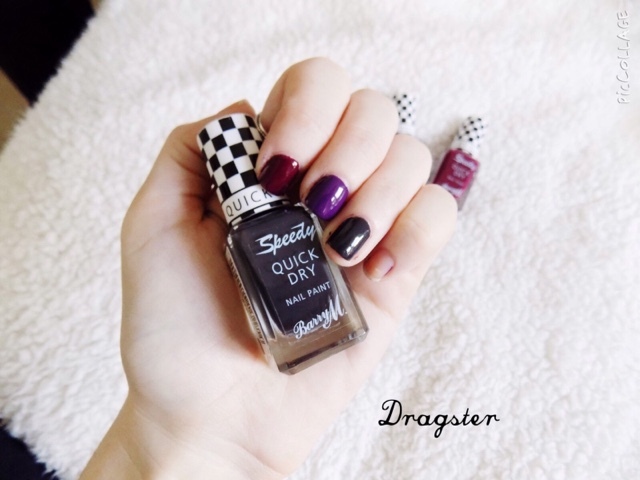 The Speedy Quick Dry polishes are another great score for Barry M. They just continue to bring it with their nail polishes. These come in slightly cheaper than the Sunset range at £3.99. They're designed with a flat brush, high opacity, they're opaque in one coat but I always apply two, and they dry super fast which makes switching up your nail colour on a daily basis possible. I hope you like the look of these Autumn polishes, I would love to see how they look on you if you end up getting them or any other autumn nail colours.